These are two sides of a coin that give different opportunities in the home rental market in Houston. We previously discussed rent-to-own opportunities for those that have bad credit in another post. We also discussed the possibilities of buying single-family homes for the purposes of using them as rental properties. This post goes into much more detail and explores the amazing variety in how rent-to-own deals can be constructed. Rent-to-own is a hybrid agreement that combines part of a purchase/sale agreement with a long-term rental (lease) contract. There are advantages for both the owners of the properties and the renters of the properties that will hopefully and ultimately become the new owners of the properties. There are many advantages for owners of a single-family home if they construct a solid rent-to-own deal. The first main advantage is that the properties create steady cash flow and the tenants usually take better care of the properties if they ultimately hope to own them. This makes for long-term stable tenants and if the calculations are done well, it keeps the properties occupied with nice steady cash flow and good profits for the owners. If you pay rent, all the money does nothing to help you in the future. You are essentially paying for the property for the owner, who is the ultimate beneficiary of all the years that you pay rent. If you have bad credit, you may not qualify for a home loan. A rent-to-own option is a hybrid and usually does not have any serious credit history requirements, however, usually requires some down payment. The big advantage is not all the money you spend each month is wasted on rent and some part of what you spend helps you acquire the ownership of the property. The other big advantage is that when you complete the time of the rent-to-own contract you can acquire the home and do not have to move out. Instead, if you can then qualify for mortgage financing, you can become the owner of the home you already lived in as a renter for the previous years. While the basic concept of rent-to-own is fairly easy to understand, there are many deal parameters to consider. All of these can be negotiated between the parties. The amount of initial deposit. The amount of the monthly lease payment that is applied to the purchase of the home. What happens if the renter fails to make the proper monthly payment? Does the owner of the property report monthly rent-to-own payments to credit bureaus to help improve the renter’s credit score? Is the purchase price fixed at the current property value, allowing the renter to potentially benefit from increased valuation of the property in the future? Is the rent competitive with other offerings of similar properties in the area? Exploring rent-to-own opportunities can be very beneficial for both parties in any real estate transaction. 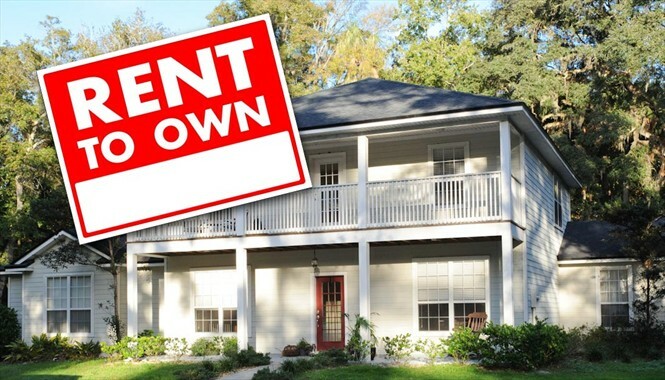 Even a property offered for sale that has not found a buyer can be a candidate for a rent-to-own deal.